Some ideas require custom exhibit design. For over 18 years we have transformed visions into reality. In fact, challenges inspire us! 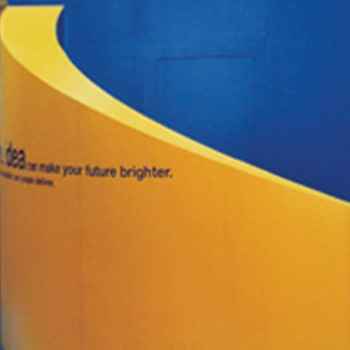 From a rotating custom scarab to two-story exhibits, we create custom spaces that sell. We also work with fabric, extrusion metal, acrylic, foam, wood, laminates, PVC and a host of other materials to build your perfect exhibit. Call us to set up a consultation so we can work with you to turn your wish list into the display of your dreams. Customized double-decks increase the meeting and presentation areas in your booth while giving you great brand visibility. 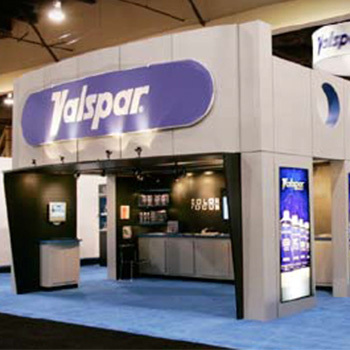 Curved thinning walls, circles, angled columns…we create volumes and use finishes that make your booth your own! 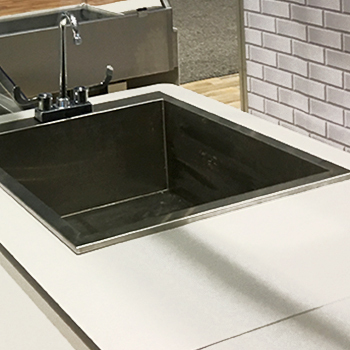 Whether you need a cooking demo area, a wine tasting, food counter or a seafood display, we add the function you need to your ideal exhibition stand.